As the 138ft. 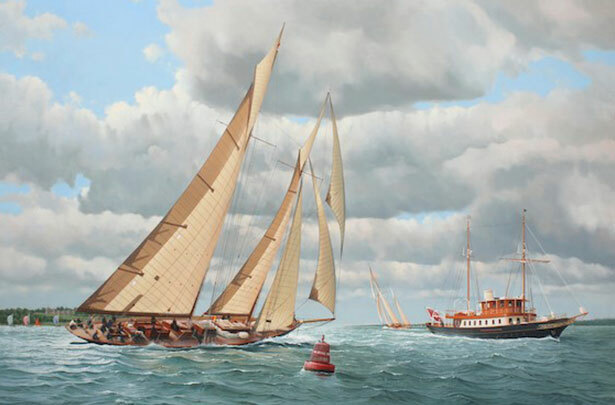 schooner Mariette of 1915 beats to windward against the tide, the lovely classic steam yacht Atlantide of 122ft. runs down tide across her bows. The Alfred Mylne designed Atlantide was built in 1930 and was one of the Dunkirk Little ships that helped to rescue the allied troops at Dunkirk in World War II.